I usually follow a blog called El comidista, and last week I saw a very interesting recipe I bring to you in video (with some modifications). Start squeezing 2 oranges, put the juice in a bowl. Add also a tablespoon of soy sauce, about 8 cloves, some ginger and finally mix well. Add some salt to the pieces of hake and then cover with flour, hit a bit each piece to remove the excess of flour. On a pan add plenty of sunflower oil. You can check when the oil is hot enough by inserting a wooden spoon in the oil, it will be ready when you see bubbles around the spoon. 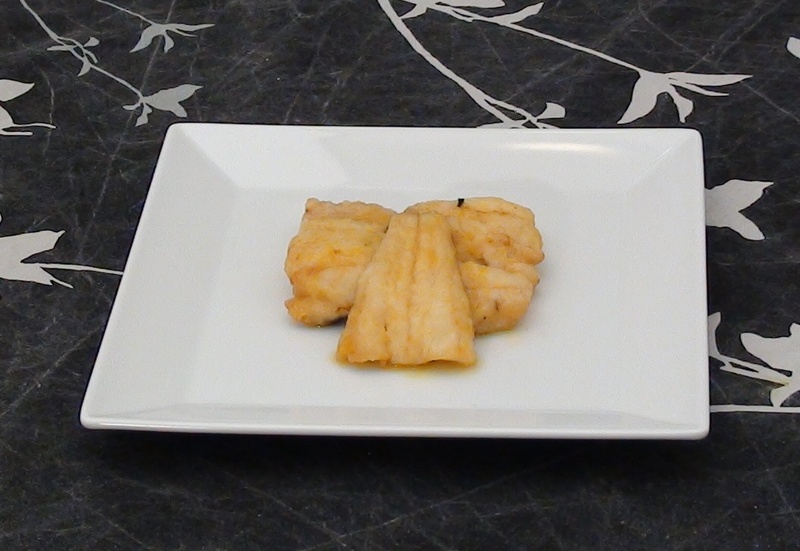 Add the pieces of hake in the hot oil, cook them for about 5 minutes turning them several times. After removing from the pan let the hake rest for 5 minutes on the orange juice; more or less the time you will be cooking the net round of hake pieces. Serve with a bit of this juice over each piece of hake.